"Keeping our furry friends happy and safe is our number one goal at Scout & Zoe's." Home is an area of safety and comfort for both you and your furry friends, but Scout & Zoe’s Natural Antler Dog Chews wants pet owners to be aware that it’s also a place full of potentially poisonous materials that could injure or kill. During Poison Prevention Week (March 18-24), the American Society for the Prevention of Cruelty to Animals and other organizations are helping increase awareness of household substances and other environmental hazards that can be life-threatening if ingested by a dog or other animal. Human medications, both prescription and over-the-counter. 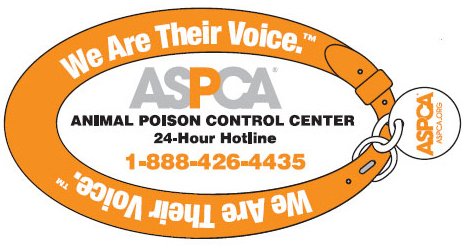 Prescription medicines alone accounted for 25,000 calls to the poison control center. Pets are notorious for ingesting any dropped pill, so all medications should be kept in a safe place and closely watched. Insecticides and rodenticides. These accounted for 11 percent of calls to the center. The most common situations of exposure include pets being allowed access to areas with newly applied home insecticide. “People food.” Chocolate is the number one culprit on the list of human foods causing illness in animals. Sugar substitutes such as xylitol also account for a large number of pet poisoning cases. Household and automotive products. From paint to plastics to cleaning supplies, there are many substances involved in our everyday lives that can be hazardous to animals. 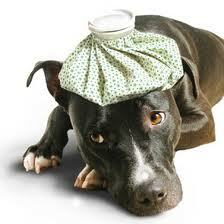 Veterinary medications. Care must be taken to ensure that pets don’t take too many of a prescribed pill, or that they don’t gain access to another animal’s medications.